Several houses in a residential district of Mosul, Iraq have been destroyed in an airstrike reportedly carried out by the US-led coalition. In a 360 video, you can see the devastation left in the attack’s wake. Huge piles of rubble, ruined buildings, and broken power transmission poles are all that’s left in the haunting scene the video shows. 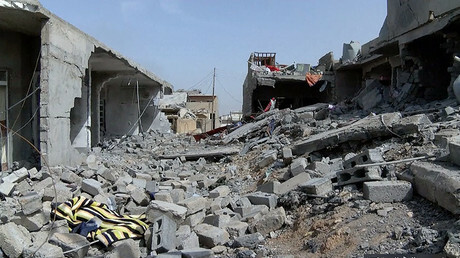 At least three houses around Tal Alruman street were destroyed in the attack, which was said to have targeted Islamic State (IS, former ISIS/ISIL) terrorists. According to neighbors and relatives, some 18 people were inside each of two buildings destroyed, while there were ten in the third. Some victims were later found buried in the rubble. 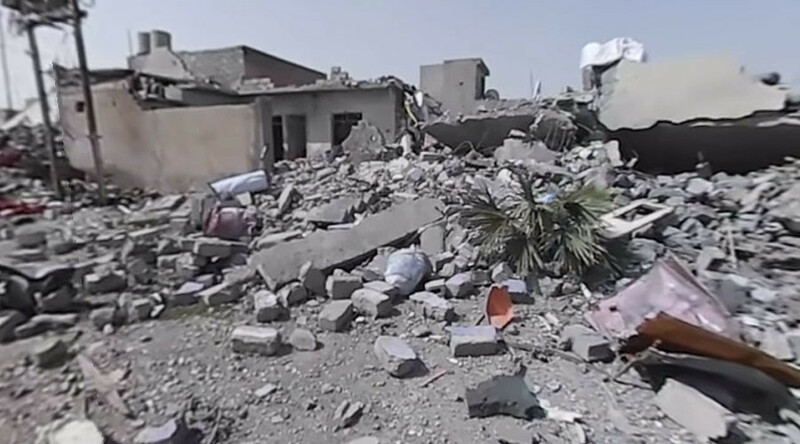 Mosul residents complain that the US-led coalition is not as careful in targeting its airstrikes as it claims. One resident told Ruptly video agency that the coalition airplanes “were bombing randomly,” rather hitting specific targets. According to a report from the British Daily Telegraph newspaper, one airstrike targeting a single Islamic State militant killed a dozen civilians instead. By early March, some 200,000 people had fled Mosul, of whom more than half were children and more than half of the rest women, according to estimates made by the International Organization for Migration. Meanwhile, the UN estimated at the end of February that, in the coming weeks, 250,000 people may flee the city, which was home to about 750,000 people before the recent siege.